Even though this festival is more than a month away, you won't want to wait to make your plans to attend. 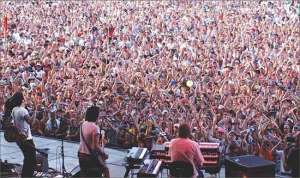 This year's performing line-up is as impressive as ever with JayZ, Stevie Wonder, Dave Matthews Band, Kings of Leon, Tori Amos, Norah Jones, John Fogerty, John Prine, Margaret Cho and too many more to mention that will be on hand to entertain and amuse. We have a convenient RV rental location in Goodlettsville (No. Nashville), TN, or check out our locations map for a rental office near you. The Crown Royal 400 race at Richmond Int'l Raceway on May 1! The Southern 500 race at the Darlington Raceway on May 8! The Autism Speaks race at the Dover Int'l Speedway on May 16! The Sprint All Star race at the Charlotte Motor Speedway on May 22! The Coca Cola 600 race at the Charlotte Motor Speedway on May 30! 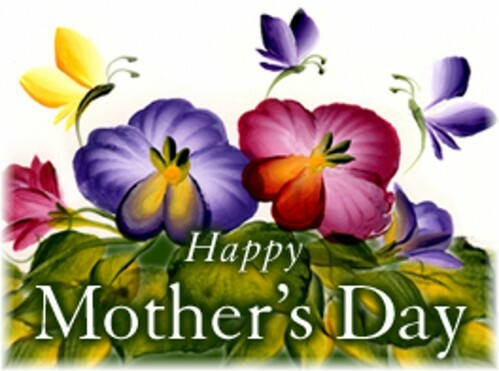 Here are two (among many) great reasons to get outdoors and take an RV trip: Mother's Day and Memorial Day. Pamper your Mom and take her away from the hustle and bustle of every day living to a beautiful spot on the beach or in the mountains, or wherever her imagination might lead you. 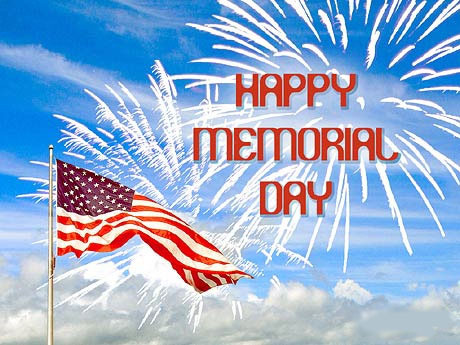 Celebrate and honor our men and women in uniform, and those that have gone before, and enjoy the holiday. Take an RV trip to somewhere you haven't been before. For even more spontaneous fun, don't plan your destination... just point and go! At sunrise, the skies above Telluride fill with colorful hot-air balloons. 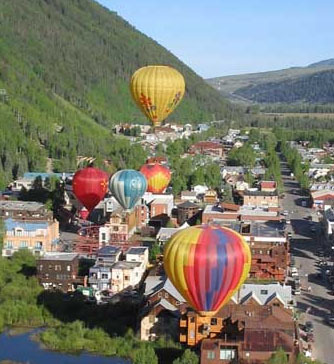 At sunset, Main Street is the setting for the annual balloon glow. Volunteer to be part of a crew and get a balloon ride! In addition to the balloon festival, take in the history of Telluride. It's the town where Butch Cassidy robbed his very first bank. Visit one of the many historic mines around the town. See a spectacular waterfall at the edge of town - Bridal Veil Falls, or take a gondola ride to Telluride Village. 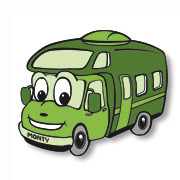 El Monte RV has an rv rental location in Southwest Denver to make it easy! Prefer a different starting location? 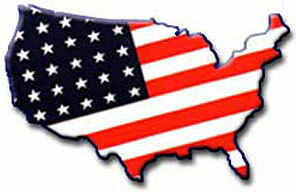 Visit our locations map for more information. 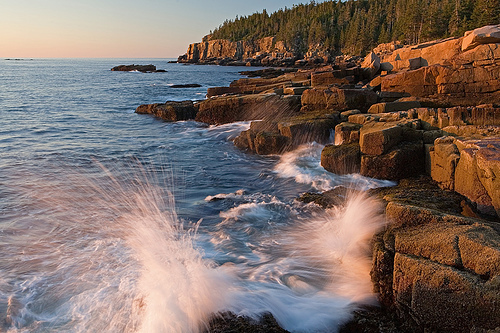 Acadia National Park is more than 47,000 acres of rugged Maine wilderness and is host to over 2 million visitors a year. It became a national park in 1919 and was first named Lafayette National Park in honor of Marquis de Lafayette, an influential Frenchman who supported the American Revolution. The name was changed to Acadia National Park in 1929. The park offers bicycling, hiking, wildlife viewing, fishing and ranger-led boat tours and is home to over 40 species of wildlife. The 20-mile Loop Road provides breathtaking views of ocean, forest and mountains. Or, choose the 3.5 mile drive up Cadillac Mountain for more scenic views. Don't wait to make plans for a vacation to this beautiful national park. ~ In a pan, heat the peanut butter, sugar and white syrup on medium heat. ~ Bring to a boil, and remove from stove. ~ In a large mixing bowl add this mixture to the cereal. ~ Stir quickly and mix well. ~ Pour this into a buttered 9 x 13 oblong pan. ~ When melted, mix together well and spread over cereal mixture. ~ Do not cut until this topping is set well. ~ Cut into 2 inch squares. This 2006 class C model is in excellent condition. 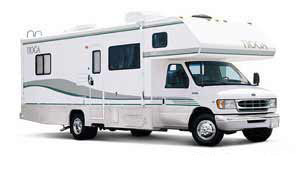 Sleeps up to 6 and includes dinette, microwave, stereo/cd player, air conditioner, and refrigerator/freezer. Also has generator, hitch and more. Like new!